Motherboards can look alike from afar, but once you begin building a computer system with one you quickly realize where extra time has been spent to make your life easier. 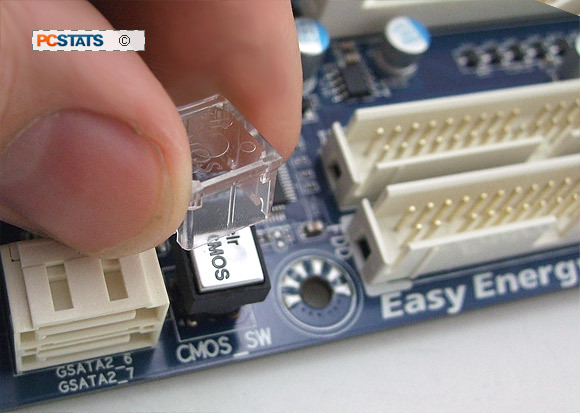 A physical power switch and easily accessible reset and CMOS clear buttons are always handy. Combination USB2.0 and eSATA jacks are great because the slots provide power from the USB2.0 port to an eSATA device over one hybrid cable. eSATA alone cannot power a device, but there is enough electricity from a USB socket to power certain devices. The GA-890FXA-UD7 also has two USB 3.0 jacks on the back of the board. One of the most interesting addition to Gigabyte's GA-890FXA-UD7 motherboard has to be SuperSpeed USB3, via NEC's PD720200F1 controller. 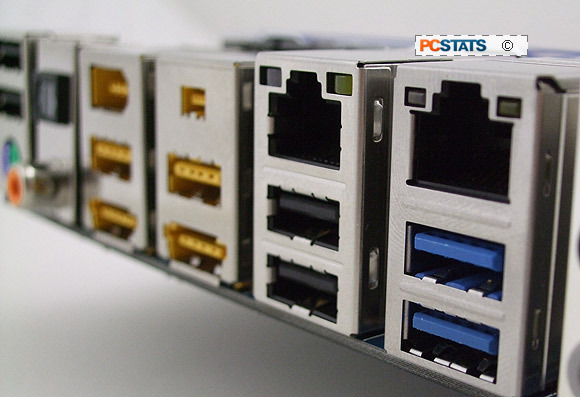 USB3.0 is the third major revision of the Universal Serial Bus standard that runs everything from your mouse and keyboard to flash drives to WiFi adapters. It brings with it a couple benefits along with the significant speed jump, such as Sync-n-go (USB devices are instantly available), backwards compatibility, bidirectional dual simplex data transfer protocol and better power efficiency. While USB 2.0's 480Mb/s maximum bandwidth was enough for smaller flash memory based devices (like thumb drives or SD cards) USB 3.0 expands the bandwidth to a whopping 4.8Gb/s (4800Mb/s), much more appropriate for larger mass storage devices. Much of this speed improvement is due to USB 3.0 being a bi-directional bus, meaning it can transfer information to a device and to a host computer simultaneously. 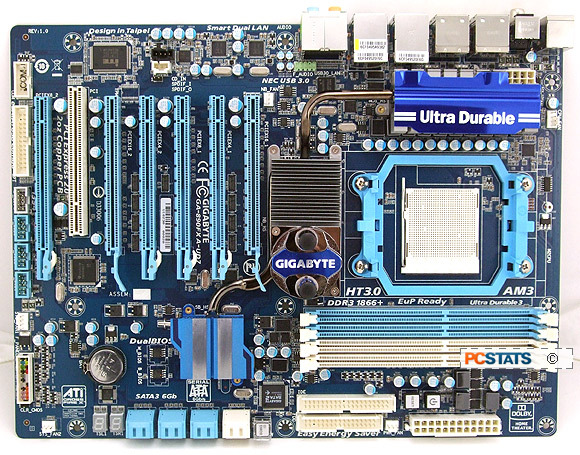 The Gigabyte GA-890FXA-UD7 motherboard is built on a PCB with 2 oz copper substrate is used for the inner grounding layers. The thicker layers of copper aid in the cooling of board mounted electrical component and lower impedance. PCSTATS toured a massive ECS factory in Shenzhen China where several million motherboard PCBs are fabricated each month. 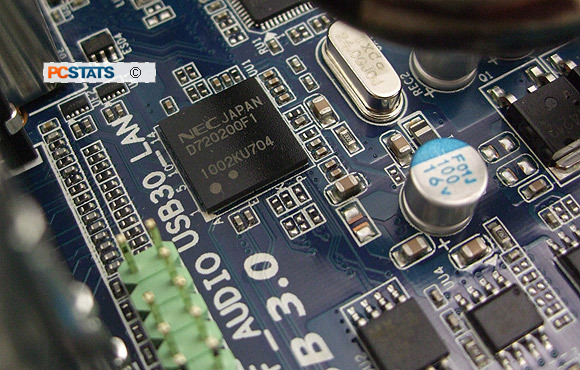 Trust us when we say, the more layers to a motherboard the more difficult it is to make and generally speaking, the better the quality. Overclocking features for the Gigabyte GA-890FXA-UD7 include hardware over voltage control via IC for more direct voltage adjustments of processor, memory and chipsets. According to the manufacturer the board is equipped with a hardware linear real time voltage control and is capable of finer stepping on the order of 0.001V when needed. In case something goes awry, the onboard Port 80 card will throw up an error code. If all else fails the Gigabyte GA-890FXA-UD7 has standard dualBIOS backups and auto overclocking failure recovery. 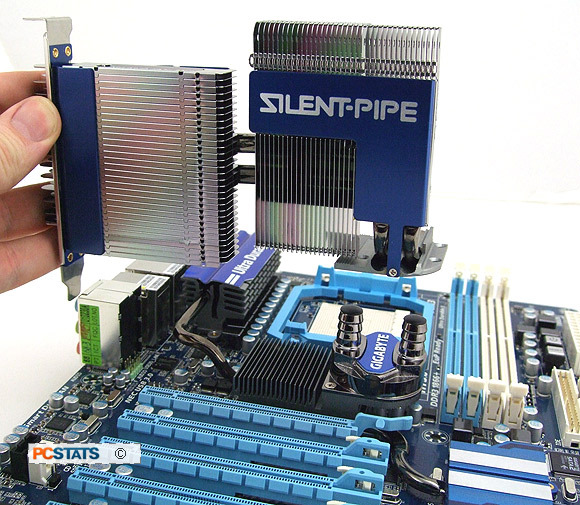 That concludes PCSTATS preview of this new socket AM3 AMD 890FX Gigabyte GA-890FXA-UD7 motherboard! Stay tuned for the full performance review, or check out a new motherboard right here. By the way, it you want to know more about what goes into making a motherboards, check out PCSTATS detailed picture packed tour of a Gigabyte motherboard factory in Nan-ping Taiwan - it'll blow you away! I also recommend you read PCSTATS full tech write up on the AMD 890FX chipset here, and while you're at it stop by our review of the 3.2GHz six-core Phenom II X6 1090T processor (socket AM3).